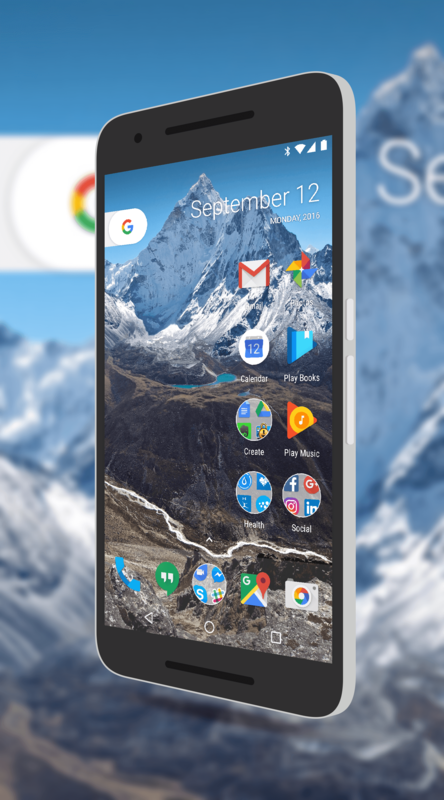 As you have probably seen or read by now, there is a beta app of the Google Pixel Launcher that is expected to be a part of the upcoming Google Pixel phones. You may recall earlier this Summer there was a Nexus Launcher that was running around in beta. This is the exact same thing, renamed and updated a bit. If you want to try out the new launcher, you can download both the launcher APK and the new wallpaper pack APK in one zip file after the break. First, a few of housekeeping items before you download these files. This is a beta app and is not officially supported. There is no tech support for it so if you aren’t comfortable with that, don’t install it. Wait until it becomes official. No, I’m not tech support. No warranty is expressed or implied. ClintonFitch.com is not responsible for any damages to your phone, data, pictures, files, etc. on your phone. Load at your own risk. In order to install the APKs, you will need to allow for apps to be installed from unknown sources. You can find this setting at Settings>Security>Unknown Sources. You will need to install both APKs for everything to work properly. I recommend installing the wallpaper pack first. Whew! Now that all that’s out of the way, let’s talk about the launcher itself which you can download here. First you will notice that the Google search bar is gone and replace with a “G” button in the upper-left of the screen. Tap it and it takes you to Google Search. Second, you’ll see that the date is large and next to the “G” button so you can at a glance see what the date is today. Perhaps the biggest change is there is no app drawer button. Now to get to your apps, you slide up from the bottom of the display and the app drawer opens. Some will like this and others will hate it but it appears to be the path that Google is going with the launcher. Finally, and this is a big one for me, the Google Calendar app shows the actual date on the icon, not just the “31” that the default icon shows. As for when we will actually see this available remains a mystery but there could be a hint in the file name. The version number of the launcher is 7.1-3231428 and the new Google Pixel phones are expected to launch with the first maintenance release of Android Nougat, version 7.1. Those devices, if the rumor mill holds true, should be out next month which means we could see this new launcher come at that time. It is a bit of guess work to be fair but makes sense given the number sync up.